Norway is a stunning country with so much to see, do and explore. It is quite an expensive country to visit though, but well worth it. One of the best ways to holiday there is to through a campervan hire Norway service which will cut your expenses down a great deal. This is a great solution because it means you get to see Norway on your terms, and you will gain so much experience from it. Campervan hire gives you the freedom to follow your own itinerary, adjust it on the go, or simply turn up, hire your campervan and drive wherever you want to go, to make an adventure of it. The advantages of a campervan holiday go beyond that even. There’s a great choice of campsite to visit where you can set up camp and meet other like minded people. This is where the magic happens. You may already have an idea where you want to go, but through speaking to others, you can get some great new information that can make you change, adjust or slightly modify where you want to go. Camping gives much more than that even, as you become part of this new community where you will make new friends, perhaps lasting a lifetime. The other advantage with hiring a camper van in Norway is that it gives you peace of mind. You’ve paid the rates to rent, now the only other thing you need to worry about is putting fuel into it. 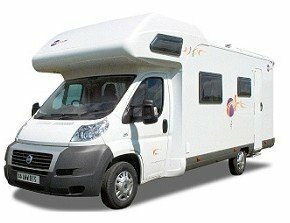 Unlike if you owned your own campervan, should the worst happen and you have any issues with it, the rental company will sort everything out putting you back on track very quickly. And of course, if you’ve never camped before it gives you a great insight and taste into the world of camping. But onto camping in Norway. The Norwegian landscape offers so much to the traveling holiday maker. Follow some of the fjords around, stopping in villages to explore en route. There’s some great campsites that are based on some of these fjords, such as the one in Byrkjelo that offers heated swimming pools, fantastic facilities and is extremely clean. On your tour of the fjords, stop and take a boat trip on one of the numerous lakes, or even try your hand at some water sports. If you love walking, Norway offers many hiking experiences. In the south, check out Hardangervidda, a region that feels the most Norwegian. It contains many hiking trails, both short and long, and is the spot where George Lucas filmed the Hoth sequences for his Empire Strikes Back movie. For those seeking a more adventurous hike, try a two day expedition to the summit of Hermannsdalstinden. Once you get back to your camper van from that adventure, then it will be time to spend a few days relaxing at one of the many campsites in that region. Whatever you want to do, Norway has plenty for you to see and explore. With campervan hire Norway, you can have a trouble free holiday for a great price and come out with many memories that will last a lifetime.